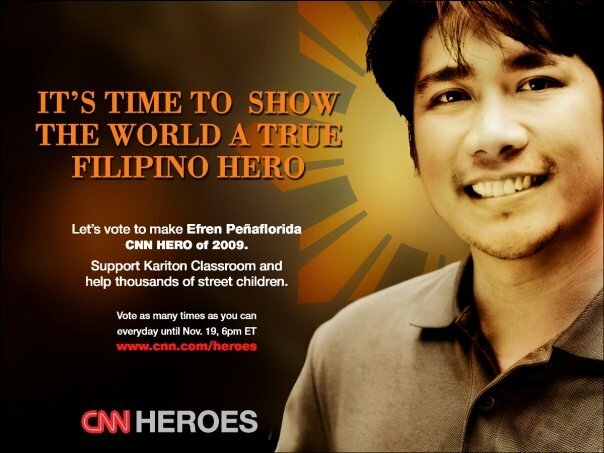 The RePress and Mico Santos's Style of Life proudly supports Efren Peñaflorida for CNN 2009 Hero of the Year. Peñaflorida gives Filipino youth an alternative to gang membership through education. His Dynamic Teen Company's 10,000 members have taught basic reading and writing to 1,500 kids living in the slums.